so does anybody know where 41° N 93° W” is located? 41° N 93° W is here. On one of my forthcoming releases ²3 (two cubed, i.e. ’08) and its follow-up, 3² (’09) will be the track 54’45″N 04’00″W, subtitled 14th June 1939. This orchestral piece involves 60 seconds of silence. From these clues you should be able to glean its reference to a tragedy just prior to WWII from which my grandfather was saved by the accident of his height. The two-part collection is a 64 piece set of musical references encompassing the history of Liverpool, its people and its environs from the beginning (Berêshîth) through to the 750th anniversary of its charter (1207 – 2007). Paul Crookall, composer, Liverpool UK, 23rd August 2008. 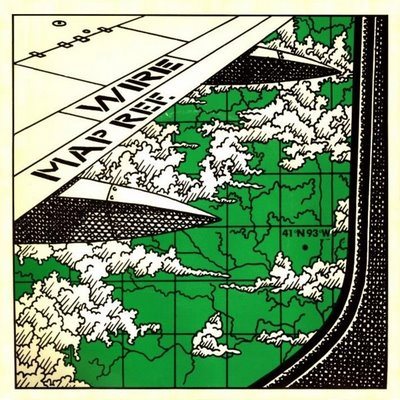 Thank you – I’d always wondered where that song title came from, what the place was and how Wire got from one to the other. 154 is still a brilliant record 35 years on, and Map Ref always sounds to me like it should have been number 1, but possibly on Mars or in a parallel universe. Such a great track…I linked to this post just recently: https://sidedishesblog.wordpress.com/2016/03/16/mullen-nebraska-pop-509/ – check it out, and follow along if you’d like!